Microsoft announced that the company's support for Microsoft Office 2007 will end on October 10, 2017, a little over three months from now. 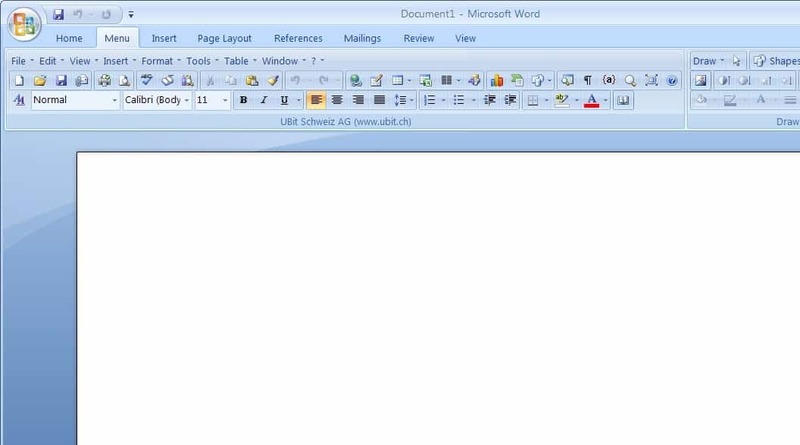 Office 2007 was the first version of the office suite that featured the Ribbon interface instead of toolbars and menus. It was also the version of Office in which the new Office Open XML formats, docx, pptx and xlsx were introduced. The Office program was released to retail on January 30, 2007. Office 2007 mainstream supported ended on October 9, 2012, and extended support will run out on October 10, 2017. End of Life for a Microsoft product means that Microsoft won't release updates anymore for the product. This includes security updates, but also any other form of update, for instance to fix bugs. Furthermore, Microsoft won't provide technical support for issues anymore as well. Microsoft published a list of Office 2007 products that will end of life. Office 2007 programs like Word, Excel or PowerPoint will continue to work after support end. Microsoft Outlook on the other hand won't connect to Office 365 mailboxes anymore after October 10, 2017. This means that users who use Outlook 2007 to send or receive Office 365 emails won't be able to do so any longer. The reason for that is that Microsoft will deprecate RPC over HTTP in Office 365 on October 31, 2017. On Oct 31, 2017, RPC over HTTP will be deprecated in Exchange Online in favor of MAPI over HTTP, a modern protocol that was launched in May 2014. This change affects you if you're running Outlook 2007 because it won't work with MAPI over HTTP. To continue email connectivity, Outlook 2007 customers will have to update to a newer version of Outlook or use Outlook on the web. This change may also affect you if you're running Outlook 2016, Outlook 2013, and Outlook 2010 as you must make sure that the latest cumulative update for the version of Office that you have is installed. Upgrade to an earlier version of Office. Office 365 is a subscription-based service, while Office 2010, 2013 and 2016 are not. The subscription service offers online access but also full versions of Office programs such as Outlook, Word, PowerPoint or Excel that customers may install on their computer systems. Office 2010, 2013 and 2016 will eventually reach end of life, while the Office 365 subscription service won't. Office 2010 -- End of Life on October 13, 2020. Office 2013 -- End of mainstream support on April 10, 2018. End of life on April 11, 2023. Has MS not heard of HTTPS, which fixes the inherent security weaknesses of HTTP ? I don’t really understand why anyone still pays Microsoft for Office. LibreOffice might not be as pretty, but they reached feature parity with MS Office a while ago already. I get that some corporations might need legacy stuff… but I’d personally rather donate to LibreOffice than pay Microsoft. Probably because when people think of office suite, they think of MS Office, kind of like most people think of Google as search engine or Windows as an OS. Can’t blame them. I wish Linux would get more popularity and get driver and game mainstream support, but it won’t. I agree Arthur. I have been using LibreOffice for some time and it is equal to, if not better than, any of the MS Office varieties. TianlanSha, I use Firefox and uninstalled Chrome about two years ago. I was fed up with Chrome grabbing my personal data. With Firefox, using ghacks/Pants/earthling user.js and addons like uBo, I know that my info really IS private. Switched to Open Office in 2007. Got rid of Ribbon and other BS. No regrets. License-free, works on Windows and Mac (my working machine). Switched to LibreOffice in 2015. In rare cases when OpenOffice / LibreOffice can’t handle something, I use WPS Office (former Kingsoft) or Softmaker. if all you need is mail client, can make do without it. but when really using outlook to its potential it really is good. evolution with ews support come a long way but outlook is the real power program in office suite. I use outlook and evolution against my self hosted exchange server. I dabble with LibreOffice at home and also install it on friends and families machines, but I use Microsoft Office at work. I really like the idea behind the FOSS software movement, I mean what’s not to like, it’s free and you always have the newest version, but I’m yet to find any FOSS software that I actually prefer using to the commercial equivalent software. They are not the same thing when you start using them all day everyday for your job. Especially when you start using Office to do advanced things due to it being quicker and less hassle to find a way to do things with Office rather than wait months or in some cases years for the IT department to write something to do specialist tasks and reporting. Regardless, ‘Microsoft Office Home and Student 2016’ isn’t exactly bank breaking at £60 (non subscription) and if you look on Amazon UK, third-party sellers are currently listing ‘Microsoft Office 2016 Professional Plus for Windows PC’ licences for £6.95. I kid you not. VLC and 7Zip should be able to remove the “I’m yet to find any FOSS Software that I actually perfer using to the commercial equivalent software”. Also : Kee Pass, Vera Crypt… I’m sure there are others. Everywhere ? I’ve just read their licence, and it seems open source to me, even if it does not say so. MS gives Office licenses to students like candy to get their hooks in and employers basically require it. At that point people rather use what they are used to rather then learn something new. Then there is always the question mark if whatever you produce on libre office will be transfer 100 percent when someone else opens it with the MS equivalent. I am sure it improved quite a bit, but the last time I tested a couple of years ago a Libre office created doc will often no render 100 percent with MS. A few odd margins here and there etc etc. Probably a MS ploy, they do it on purpose I don’t doubt or at the very least make absolutely no effort to make sure it works correctly. If everyone use Libre office, I too would drop MS office in a heartbeat. I Am Still Using OFFICE2003. Since The SUMMER Of 2009 M$ Keeps Sucking The More And More. Wow! And I thought I was the only one still using Office 2003. (At least on one of my office laptops – my primary work computer.) It’s nice to know that even if we’re a minority, there are still some folks out there who have “staying power” when it comes to software. **Staying Power** – I Love That Quote. If I Have To Move OSes I Will Move To UBUNTU – You Move First To The **Planet** And Then, Eventually, Choose A More Suited **Continent**. …Using A Site Like PCPARTPICKER, I Can Choose, And Buy, The Most Recent And Personalized Hardware, To Keep Using All My Beloved Software, And Any Need To Change Is Still Years Away. As Long As There Are Good Working Browsers, Even If They Are No Longer Updated, My **Staying Power** Will Grow The More And More. Hardly an issue, imo. I personally use Office 2010 SP2 without any further updates. And why the Ransomware Global Infection… because they are all using Office… blindly with scripts allowed by default. There’s one very good reason to pay for Microsoft Office instead of Libre Office, and that’s plan mode in Word. This simply does not exist anywhere else, and I’d love to be proven wrong (don’t know about Mac : there are some good word processors exclusive to the Mac). That being said, this piece of news is the very reason why I don’t use cloud software. If the publisher can pull the rug under you whenever it likes, then you don’t own the software. And yes, I know, technically you don’t own the software, it’s a licence blah blah blah, but I don’t care about technicalities. Selling you something while writing on a piece of virtual paper that yeah, you gave me the money but actually this thing is still mine, that’s a swindle in my book. Just because eveybody does it and it’s legal does not make it right. Preventing a perfectly good piece of software (and very expensive to boot) to “send or receive Office 365 emails” (whatever that means, and I’m not eager to know) is outrageous. And I’m still on Office 2003, like other people here. Regarding the “£ 6.00 Office licences” available, these are obviously illegitimate. There has been a thread explaining where they come from, I think it was on Ask Woody. Even at £ 60 for the current version (“student licence”, which means you need to lie in order to buy it, if it’s possible at all), I have my doubts. Last time I looked for Office prices on Amazon, they were markedly higher. And that was for obsolete versions. I once purchased Office 2007 for over $500. When I got it installed, I was horrified at what they’d done to the suite. The ribbon was only part of it. They’d made Access unrecognizable. I rushed back to the store the next day and begged them to refund my money. Luckily, they did. I found Office 2003 online and have been using it ever since. I don’t care if MS supports it or not. I never use online apps. BTW, there are some very good alternatives to MS Office. It isn’t really needed. However, I use still use Access and there is no substitute for that. Funny you should mention Access. When I bought my Office 2003 (“family and student edition”), I was offered an Access CD for 10 € more, so I bought it just in case — and never used it since. Are there still any resources around for Access 2003 ? Any books, forums, help available ? Or would it be foolish to try and start learning Access today, for someone who has zero knowledge of it (and of databases in general) ? Avoid Office 2013/2016/365 if you wanna avoid forced bloated updates of unknown size for Office too like Windows 10. Remain with Office 2007 or 2010. If you’re going stay on Office 2007, go through your TrustCenter settings and lock down each part of Office. Usually, if you make the changes in Word, it should reflect in other parts of Office. I would check each of them just to be sure. And if you have EMET, have it protect each of the Office executable files. You can use the Attack Surface Reduction feature of EMET to block Flash from executing inside Office executable files. In the workaround section of Microsoft Security Advisory 2755801, the killbit (kill-switch) for Flash in I.E. also works on Office 2007 and 2010. I wish MS had it’s software shoved so far “where the sun doesn’t shine” they choke on it. I am sick of Corporate America sticking it to the working class and retirees with little or no concern on how it affects them.